By Matthew X. Engels, Vice President & General Manager, Carepath Networks, Medcor, Inc. Despite the promises of more convenience, no travel, high patient satisfaction, narrower networks of providers, actionable data flowing dynamically into claims systems, and better claim outcomes, an honest look at the landscape today shows us that telemedicine adoption in occupational health is low, with volumes far below what the hype over the last two years may lead us to believe. In this second installment, I examine the hurdles that have stymied the growth of telemedicine in the workers’ compensation industry, and present solutions that may overcome them. Is my injury appropriate for telemedicine? Knowing whether an injury is in the scope of telemedicine is a challenge for injured employees and their managers. When you consider that some cases are first-aid, not requiring a physician at all, some other cases may be life threats and emergencies requiring immediate, life-saving in-person care, and some other cases may need hands-on assessments and treatments, such as imaging, labs, palpations, sutures, splints, irrigation of eyes, etc., it is no wonder telemedicine is often bypassed for the traditional, clinic-based path. Yet many cases are appropriate for telemedicine – identifying which of these cases are eligible for care through telemedicine is key. Using telephonic triage on the front-end solves this problem so long as the triage protocols are sufficiently robust. Through an assessment, well designed, sophisticated triage will route an injured employee to the right level of care, from self-care to emergent care, or a level of care that falls in between the two. A portion of those cases in the middle will be in the scope of telemedicine. Telephonic triage vendors should build telemedicine indicators into their protocols and be able to offer telemedicine if indicated to injured employees. State regulators, as advocates for injured workers, may have concerns about the freedom of injured workers to decline telemedicine. Are workers being forced down this path? Other employee advocates share this concern. Telemedicine platforms must be flexible to the needs of their constituents, irrespective of the ability to control care in the state, and this includes all stakeholders: injured employees, employers, payers, and state regulators. Employees who feel forced down a path will carry anger and resentment into the claim, and these negative feelings are likely to produce poor outcomes. Telemedicine platforms that are unable to route patients into traditional clinics, either on the front-end of the episode, or at any time based on the employee’s comfort level or clinical need as determined by the telemedicine provider, are doomed. Some state regulators and employee advocates are also concerned about the quality of care delivered, especially the ability of providers practicing remotely to complete a muscular-skeletal evaluation. Is telemedicine good medicine? For some, the jury is still out! Many highly experienced and qualified physicians who are actively engaged in practicing via telemedicine explain it this way: telemedicine gives me the opportunity to remotely evaluate knee, back, shoulder or neck pain to the point where I can perform standard tests to rule out certain conditions and safely diagnose strains, sprains and pain. If the condition of a patient is such that hands-on tests are needed, such as complaints of numbness or lack of sensation, I will refer the patient to a clinic-based provider. Of course, telemedicine does not solve the problem that not all physicians are equally qualified. As with scope, applying telephonic triage on the front-end to determine appropriateness before connecting to telemedicine is a viable strategy, although telemedicine physicians operating at the front-end will also re-direct care based on the patients’ needs. When one factors self-care as a possible outcome post assessment, and considers the remaining population of injuries, fewer than 20% of total injuries are clinically appropriate for telemedicine. This suggests that between triage and direct-to-telemedicine physician models, figuring a triage call is half as costly as a telemedicine visit, triage may be the more cost-effective option. Americans work in all 50 states plus the District of Columbia, around the clock, 365 days a year. Options for employers with exposures nationally and across all shifts are too few. The lack of access to a national network of high quality, well-oriented telemedicine physicians has been a persistent issue in workers’ comp, notwithstanding the limited states where regulatory issues may currently preclude the telemedicine option. To offer promised convenience and access, a telemedicine platform must have enough quality providers on-line and available on-demand in all states 24/7 to meet the demand. Essential requirements are that these providers must understand how to evaluate and treat patients remotely, and they must also understand the expectations of workers’ comp stakeholders: focus on function, follow evidence-based medicine, apply reasonable restrictions, and convey to our patients that as appropriate, return to work is good medicine. How many of these well oriented telemedicine physicians are needed? Hard to say exactly, but the bigger the employee count, the larger the pool: a group of cross-licensed physicians is a must, with enough coverage so that if there are 5 patients waiting in the queue at 3:15 am, there are enough physicians available so that the 5th patient’s wait is under 25 minutes. After 25 minutes, even in the wee hours of the morning, the patient experience starts to erode and the ER becomes more attractive. The patient experience is perhaps the most impactful hurdle to telemedicine traction. Patients are affected by questions around scope, appropriateness and access, as discussed above, but they are also affected by technology issues, lack of understanding and fear of change. Moreover, folks using telemedicine are patients – they are either sick or injured, and often, worried and upset. Adding something new at the onset of the injury can be overwhelming and stressful. Leaving workers’ comp patients to their own devices at the front-end of the claim to navigate something that they have never done before invites variables that may be unwelcome. Injured workers may have unrealistic expectations and may feel alone or undervalued at different stages. Proficiencies and aptitude of this population vary widely, as do technical experience and willingness to try. What happens if my supervisor told me to use telemedicine, but I’m not comfortable using the internet? I don’t have a smartphone, I can’t remember my password to download the app, or will I get reimbursed for data overages? What happens if my connection goes down before I see the doctor? What happens if the wait becomes unbearable, or there’s no provider available until tomorrow morning? The patient experience with telemedicine is influenced by how patients feel, and that tends to impact the claim outcome, whether they received care via telemedicine, or were unsuccessful, gave up, and were cared for in a clinic. To successfully navigate telemedicine, and feel satisfied and stress-free about the experience, injured workers need support. Heretofore, the level of support available to injured employees has not risen to the level of the need. A seamless, fully supported process with dedicated navigators is required that provides hand-holding and information needed on a just-in-time basis so that injured employees can engage with telemedicine in a manner that is easy and void of stress. At the end of the twentieth century, the world faced a technological transformation, moving from carriages powered by horses to mechanized vehicles powered by combustion engines. As late as 1895, there were still those arguing that breeding faster, stronger horses was the future. Nearing the third decade of the twenty-first century, we are at the early stages of a transformation in healthcare and how patients engage and come into the system – telemedicine will be the vehicle of change. To realize the promises of telemedicine and reimagine the front-end of the claim process, industry stakeholders must overcome the challenges of scope and appropriateness, regulator concerns over control and care, access to quality providers, and ultimately, the patient experience. 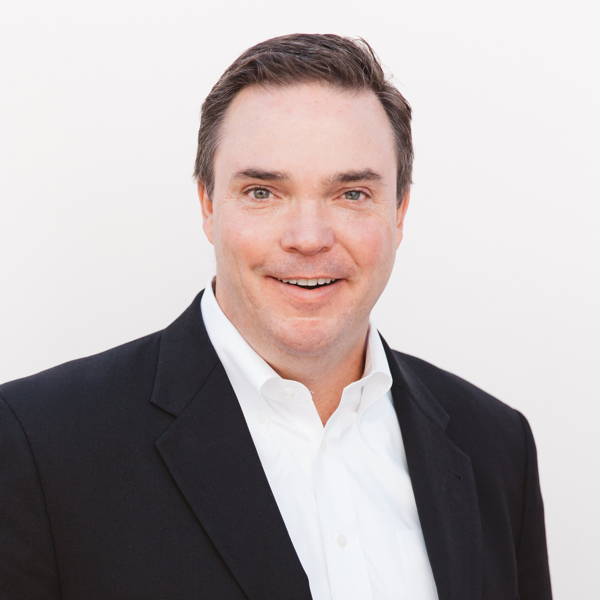 With 22 years in managed care, Matt Engels is Vice President and General Manager over Carepath Networks at Medcor, a Health Navigation company. Building better ways to deliver care to address workplace injuries and illnesses, and to identify opportunities for strategic and timely interventions have been Matt’s passions throughout his career. Matt earned a BA in History from Columbia University in New York City and his JD from Loyola University Chicago. Medcor provides health navigation and clinical services to improve outcomes, service levels, and access to care, while reducing costs. We use highly-trained professional staff, evidence-based medicine, proprietary protocols, and state-of-the-art systems to achieve sustained, positive results. We deliver our services with on-site clinics at large client locations and via telemedicine for smaller locations and mobile workers.